For me the classic Burlingham Seagull remains as stylish and attractive as it did when I saw my first Sheffield United Tours examples. 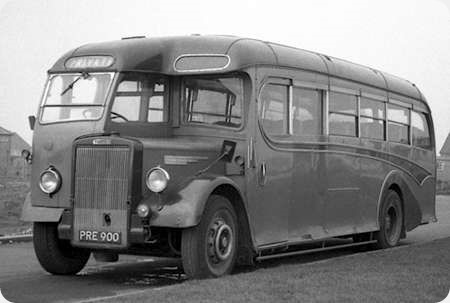 This one, Reliance MU3RV294, Burlingham 5855, was new to Anderton of Keighley in January 1955 and was snapped by John C Gillham at the Clacton Coach Rally. The design and appearance of the Seagull can, I think, be justifiably be described as immortal. Shaped a bit like a teardrop… but more refined…. 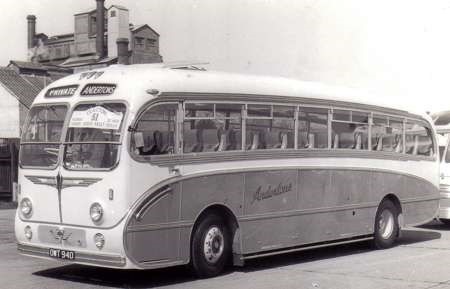 OWT 940 was sold to Victoria Coaches of Wakefield and was exported to Malta in 1970, probably as a chassis only. It received a coach body built by Debono and was in the coach fleet as registration number 2573 by December 1970, later being re-registered to Y-0871. By July 1987 it had been downgraded to bus work as Y-0767 as B45F, losing its glass rooflights and gaining green livery. It later received yellow bus livery and was re-registered to FBY 767. In this form it worked until 2011, when the interesting Malta Bus fleet was swept away in the name of progress. Thus it worked hard until it was 56 years old, a tribute to AEC. At one time the Maltese route bus vehicles only worked on alternate days, so perhaps this lovely old lady has a semi-retirement in the sun. I was very interested to see the photo of the Anderton’s AEC. 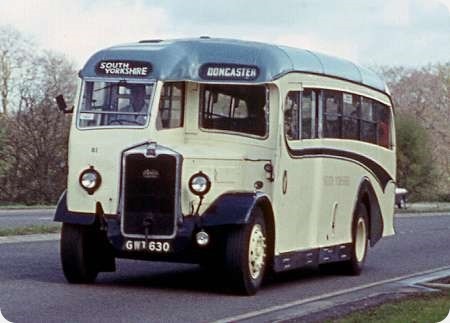 I grew up in Anderton’s home town (Keighley) and they were a well-known local coach business, always smartly turned out in pale blue and cream. I obviously wasn’t observant enough, because I don’t recall this vehicle. Anderton’s seemed to trade in at regular intervals, usually purchasing lighter modern coaches such as the Vega, etc. Sadly they sold out, I think in the early 80s, to Bowen’s and they were closed down. Didn’t stay long with Green as it passed to Alexandra of Enfield in December 1948. Would anyone like to hazard a guess as to what the angled black oblong on the bulkhead and the item leading from it are? Very interesting photograph, although the vehicle is anonymous, it appears to retain a working destination blind, set to PRIVATE. Also, I believe this is the first half cab coach I’ve ever seen with a near side mirror in that position, attached to the front wing. I suppose that’s what you call a wing mirror in every sense of the description! Thank Chris, a mirror it is! This wing mirror subject has come up before in discussions about the Margo Regal 1. Nearside mirrors weren’t officially required in the early post war period when PRE 900 was built, and this style of half canopy left only the wing as the place to fix one. This mirror does look like a home made effort, but driving without one must have been decidedly nerve wracking. Nearside mirrors on canopied vehicles work well and give adequate but not great nearside visibility. I have a number of non canopied single deckers and nearside mirror positioning is standard ie nearside front bulkhead but the angle of the mirror and size becomes really important in making them of any use. I find myself when driving continually ducking and diving to get max visibility especially for vehicles/cyclists coming up the nearside. A move to convex or larger mirrors only partially solves the problem as this then gives rise to proximity issues. I could never understand why London Transport, very advanced in its specifications for "own design" post war fleet, insisted on fitting a minuscule circular mirror for the driver’s nearside visibility. Only the RF class, as I recall, had decently sized rectangular mirrors on both sides of the vehicle. Even the private hire RFWs had the little circular things.